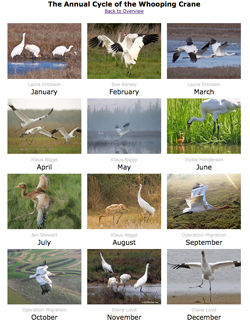 Month by month, where are Whooping cranes and what are they doing? Explore the annual cycle to discover how Whooping cranes respond to the seasons. What is the annual cycle of the Whooping Crane?